What is this a picture of? From Neatorama. The shape, the webbed feet and the color suggest a seagull, either bobbing on water, or standing on glass. In any case, it's a pretty neat photo. 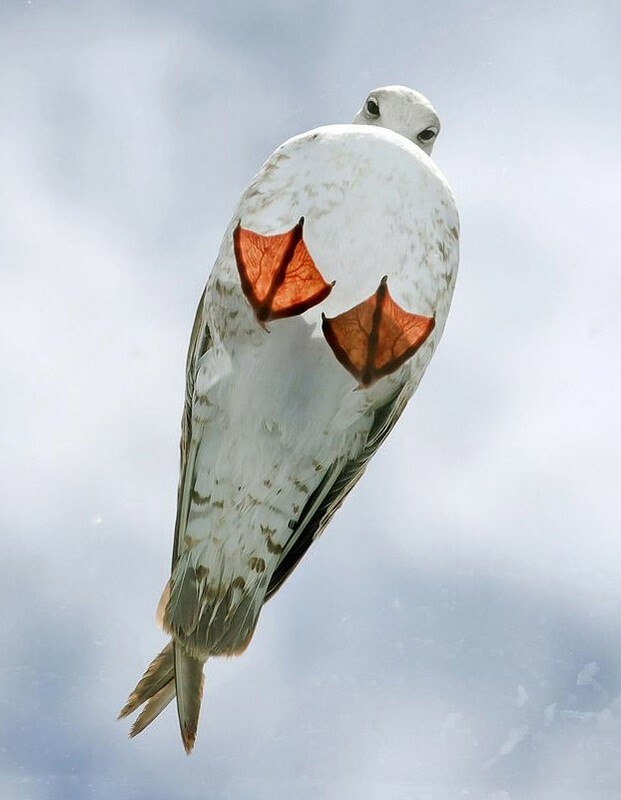 Apparently it was too easy, it is a seagull on a plate glass roof. I would never have guessed it was a bird on a roof! I thought it might be a kite! It also reminded me of a Thailand bird kite! Very cool photo.